Download NCERT Solutions for CBSE Class 08 English The Best Christmas Present in the World The Best Christmas Present in the World English for CBSE class-08. online tests, videos, question papers, notes, online quiz and complete study material for free to use. Download NCERT Solutions for CBSE Class 08 English The Tsunami The Tsunami English for CBSE class-08. online tests, videos, question papers, notes, online quiz and complete study material for free to use. Download NCERT Solutions for CBSE Class 08 English Glimpses of the Past Glimpses of the Past English for CBSE class-08. online tests, videos, question papers, notes, online quiz and complete study material for free to use. Download NCERT Solutions for CBSE Class 08 English Bepin Choudhurys Lapse of Memory Bepin Choudhury’s Lapse of Memory English for CBSE class-08. online tests, videos, question papers, notes, online quiz and complete study material for free to use. Download NCERT Solutions for CBSE Class 08 English The Summit Within The Summit Within English for CBSE class-08. online tests, videos, question papers, notes, online quiz and complete study material for free to use. Download NCERT Solutions for CBSE Class 08 English This is Jodys Fawn This is Jody’s Fawn English for CBSE class-08. online tests, videos, question papers, notes, online quiz and complete study material for free to use. Download NCERT Solutions for CBSE Class 08 English A Visit to Cambridge A Visit to Cambridge English for CBSE class-08. online tests, videos, question papers, notes, online quiz and complete study material for free to use. 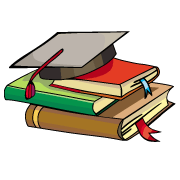 Download NCERT Solutions for CBSE Class 08 English A Short Monsoon Diary A Short Monsoon Diary English for CBSE class-08. online tests, videos, question papers, notes, online quiz and complete study material for free to use. Download NCERT Solutions for CBSE Class 08 English The Great Stone Face I The Great Stone Face–I English for CBSE class-08. online tests, videos, question papers, notes, online quiz and complete study material for free to use. Download NCERT Solutions for CBSE Class 08 English The Great Stone Face II The Great Stone Face II English for CBSE class-08. online tests, videos, question papers, notes, online quiz and complete study material for free to use. Download NCERT Solutions for CBSE Class 08 English The Ant and the Cricket The Ant and the Cricket English for CBSE class-08. online tests, videos, question papers, notes, online quiz and complete study material for free to use. Download NCERT Solutions for CBSE Class 08 English Geography Lesson Geography Lesson English for CBSE class-08. online tests, videos, question papers, notes, online quiz and complete study material for free to use. Download NCERT Solutions for CBSE Class 08 English Macavity The Mystery Cat Macavity : The Mystery Cat English for CBSE class-08. online tests, videos, question papers, notes, online quiz and complete study material for free to use. Download NCERT Solutions for CBSE Class 08 English The Last Bargain The Last Bargain English for CBSE class-08. online tests, videos, question papers, notes, online quiz and complete study material for free to use. Download NCERT Solutions for CBSE Class 08 English The School Boy The School Boy English for CBSE class-08. online tests, videos, question papers, notes, online quiz and complete study material for free to use. Download NCERT Solutions for CBSE Class 08 English The Duck and the Kangaroo The Duck and the Kangaroo English for CBSE class-08. online tests, videos, question papers, notes, online quiz and complete study material for free to use. Download NCERT Solutions for CBSE Class 08 English When I set out for Lyonnesse When I set out for Lyonnesse English for CBSE class-08. online tests, videos, question papers, notes, online quiz and complete study material for free to use. Download NCERT Solutions for CBSE Class 08 English On the Grasshopper and Cricket On the Grasshopper and Cricket English for CBSE class-08. online tests, videos, question papers, notes, online quiz and complete study material for free to use. Download NCERT Solutions for CBSE Class 08 English How the Camel got his hump How the Camel got his hump English for CBSE class-08. online tests, videos, question papers, notes, online quiz and complete study material for free to use. Download NCERT Solutions for CBSE Class 08 English Children at Work Children at Work English for CBSE class-08. online tests, videos, question papers, notes, online quiz and complete study material for free to use. Download NCERT Solutions for CBSE Class 08 English The Selfish Giant The Selfish Giant English for CBSE class-08. online tests, videos, question papers, notes, online quiz and complete study material for free to use. Download NCERT Solutions for CBSE Class 08 English The Treasure Within The Treasure Within English for CBSE class-08. online tests, videos, question papers, notes, online quiz and complete study material for free to use. Download NCERT Solutions for CBSE Class 08 English Princess September Princess September English for CBSE class-08. online tests, videos, question papers, notes, online quiz and complete study material for free to use. Download NCERT Solutions for CBSE Class 08 English The Fight The Fight English for CBSE class-08. online tests, videos, question papers, notes, online quiz and complete study material for free to use. Download NCERT Solutions for CBSE Class 08 English The Open Window The Open Window English for CBSE class-08. online tests, videos, question papers, notes, online quiz and complete study material for free to use. Download NCERT Solutions for CBSE Class 08 English Jalebis Jalebis English for CBSE class-08. online tests, videos, question papers, notes, online quiz and complete study material for free to use. Download NCERT Solutions for CBSE Class 08 English The comet I The comet - I English for CBSE class-08. online tests, videos, question papers, notes, online quiz and complete study material for free to use. Download NCERT Solutions for CBSE Class 08 English The comet II The comet II English for CBSE class-08. online tests, videos, question papers, notes, online quiz and complete study material for free to use. NCERT 8th class English book solutions are available in PDF format for free download. These ncert book chapter wise questions and answers are very helpful for CBSE board exam. CBSE recommends NCERT books and most of the questions in CBSE exam are asked from NCERT text books. 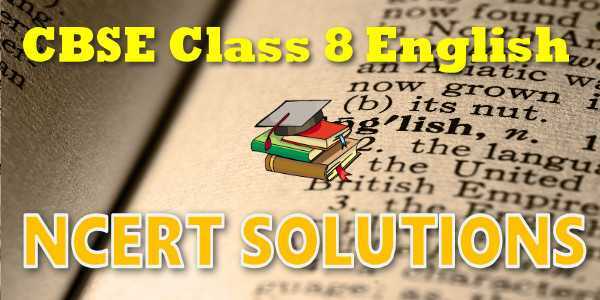 NCERT 8 English Text book Solutions .Class 8 English chapter wise NCERT solution for English and the chapters can be downloaded from our website and myCBSEguide mobile app for free. NCERT Solutions Class 8 English PDF (Download) Free from myCBSEguide app and myCBSEguide website. Ncert solution class 8 english includes text book solutions from both part 1 and part 2. NCERT Solutions for CBSE Class 8 English have total 9 chapters in It So Happened and 8 chapters in honeydew. 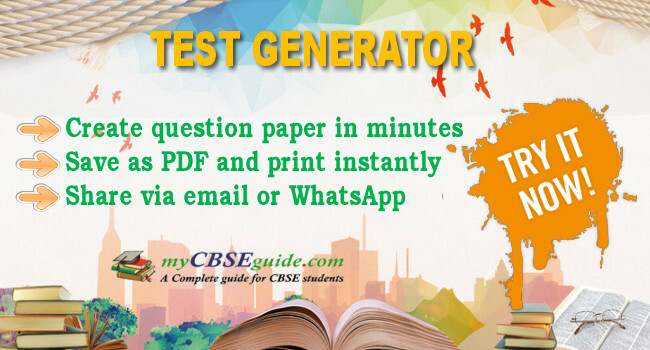 Class 8 english ncert Solutions in pdf for free Download are given in this website.NCERT 8 English Text book Solutions .Ncert english class 8 solutions PDF and english ncert class 12 PDF solutions with latest modifications and as per the latest CBSE syllabus are only available in myCBSEguide.